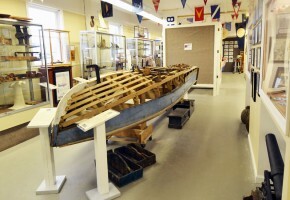 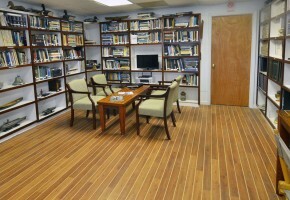 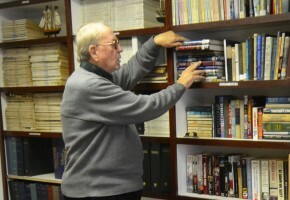 See our new Nautical Library, a research facility, from Pirate Tales to Basic Navigation for kids of all ages. 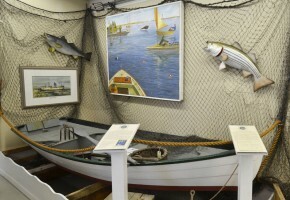 This new exhibit displays a 1928 New Jersey built step speedboat with ‘work in progress’ educational material. 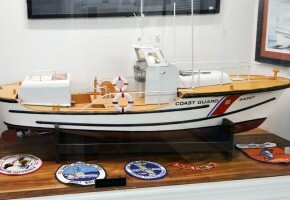 Take a walk through the origins and history of the U.S. Coast Guard and its vital role in providing boating safety. 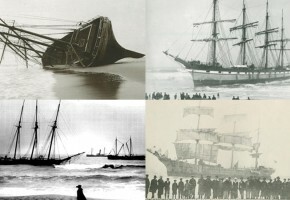 Shifting sands, was notorious for causing many an unwary sailor to unwittingly reef his craft. 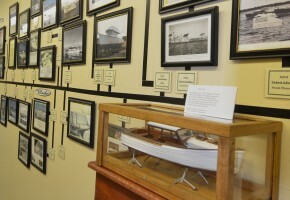 Over 167 boat builders came and went in our state over the past 100 years. 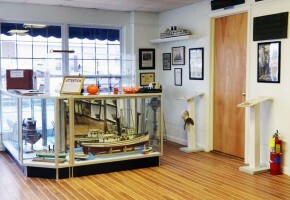 A Jersey Shore tradition, the Blue Claw Crab represents a major industry along the New Jersey shore. 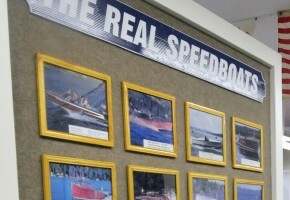 There is “Nothing like a ride in a Mahogany Speedboat”, our display shows many of the icons of summers of long ago. 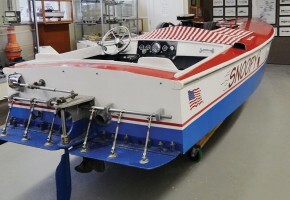 One of the last of the New Jersey ‘racing garveys’ which were popular along the shore areas. 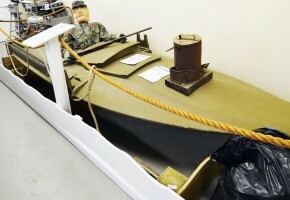 The Sneak Box, named for its ability to sneak up on its prey, is one of New Jersey’s most famous small crafts. 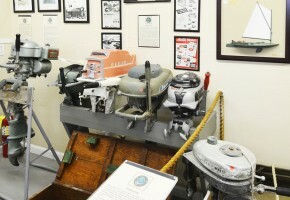 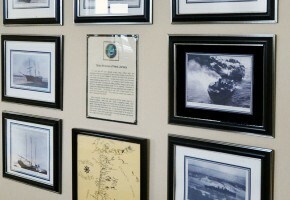 Our display includes some of the older motors, used in the 1940’s to 1960’s.